Our company provides food enterprises with one of the most functional and strong matherial – fibrous casing. 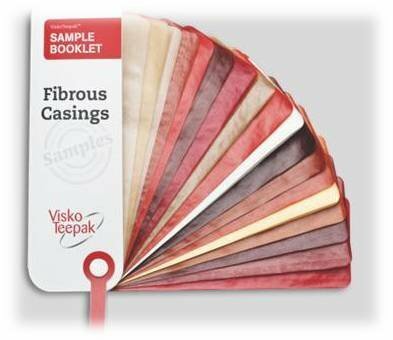 Fibrous casing from the world’s largest manufacturer “Visco Teepak” Company is the right choice to meet all important requirements of sausage production. This matherial is considered as one of the most practical, due to the mechanical strength, smoke permeability, the possibility of applying of full-color printing.